This entry was posted on Friday, October 29th, 2010 at 17:29 and is filed under Software. You can follow any responses to this entry through the RSS 2.0 feed. You can leave a response, or trackback from your own site. Regarding dynamically altering metamodels at runtime, I haven’t tried it yet but I have a bunch of use cases for that. I’d like the “original” metamodels to be “mostly” fixed, at least the source .ecore files. I’d like to be able to have a plugin that when installed, it will dynamically add “MiddleName” to “Person” class. I’m thinking of a way to do this would be to create another “fragment” metamodel that contains the “IMiddleName” class/interface. At runtime, these objects (“IMiddleName fragments”) will live as separate EMF EObjects, and as EObjects these fragments can be edited using their respect EMF editors. The getFragment implementation can be provided during model generation, that can simply delegate to a global implementation. Is this just the same (but dumber?) approach as using EMF annotations? That all sounds pretty reasonable. I’m also leaning towards a “keep some stuff static and slap a dynamic layer onto it.” Ed isn’t 100% against it; it’s just that there never was a project that really needed that. Which sounds odd; are all modeling projects out there so static that no customization of the model at runtime is necessary? Has everyone just accepted that this doesn’t work or do they simply regenerate their models when something changes? I would guess that is the case. It’s possible that the Java classes being used aren’t so “static”, e.g. by using AspectJ load-time weaving / Equinox Aspects it’s practical to enhance classes at run-time. 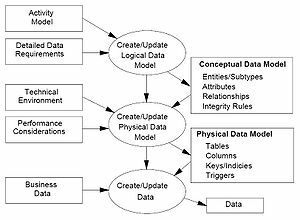 However, from EMF point-of-view, the metamodel is unchanged. The only domain where I think such runtime extensibility is needed for EMF is for ERP-type applications. Even so, it’s possible (maybe easier than ‘slapping a dynamic layer’) to embed the EMF toolkits themselves so that the end-user can edit the .ecore/.ecorediag files (to add the middleName: EString attribute), then the regeneration of Java classes etc. is “part of the runtime”. That feels like such an obvious thing, why isn’t it supported?